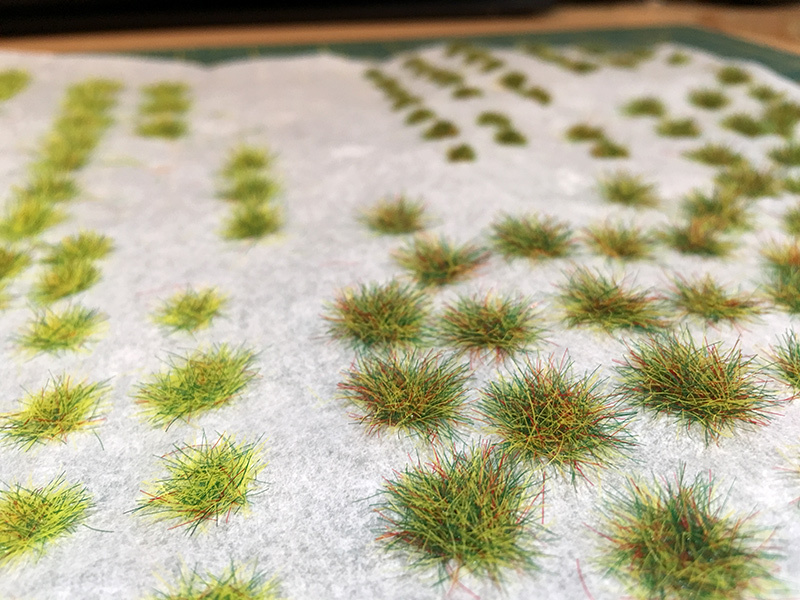 I’ve built up a small collection of grass tufts in various colours and sizes. 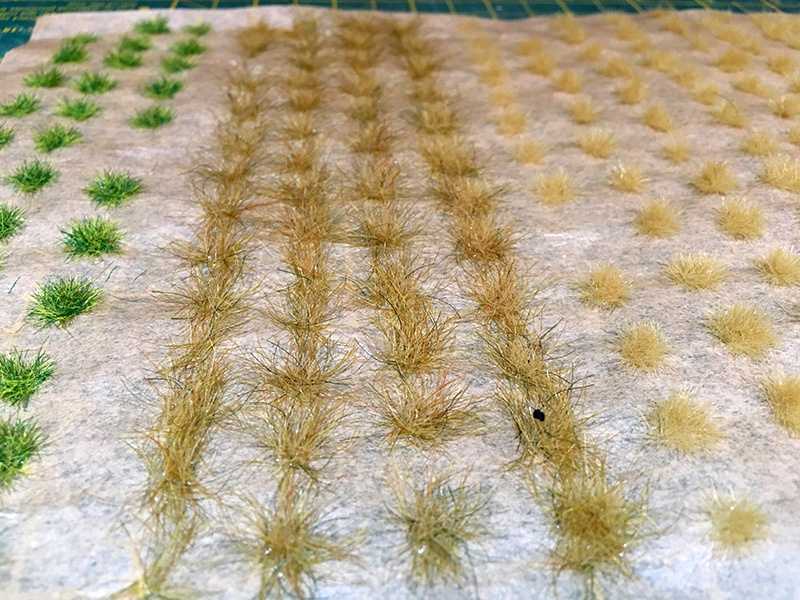 Some look more realistic than others and I’m favouring the arid, dry look at the moment. I’ve got tufts of 2mm, 4mm, 6mm and 10mm. 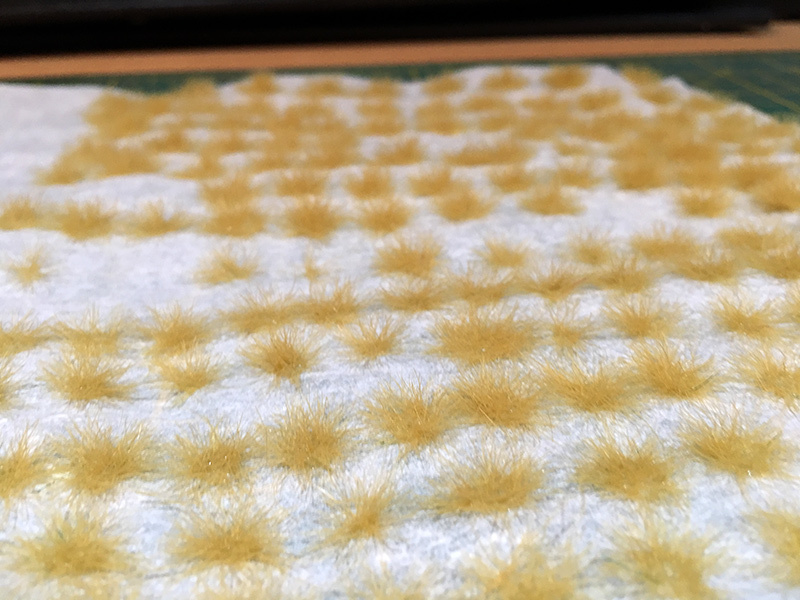 The tufts are easy enough to make but take a little practice to get a look you are happy with. 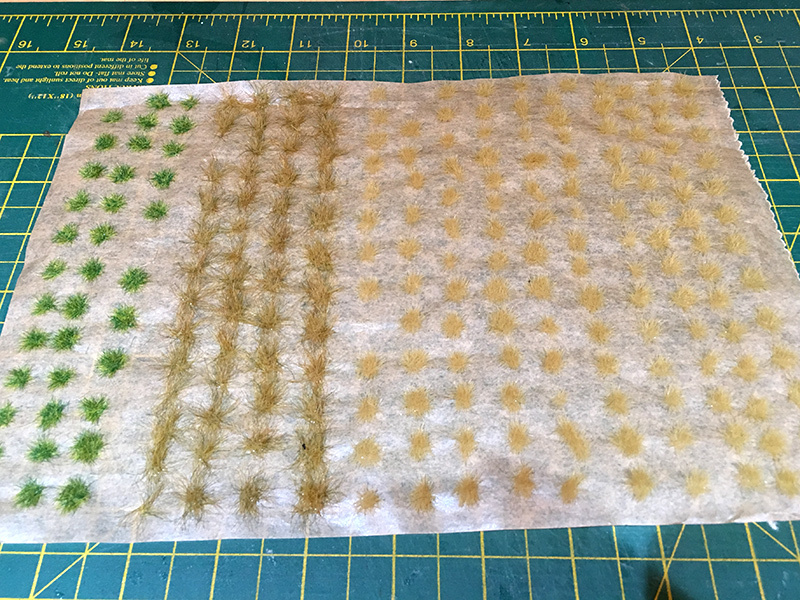 I’m starting to play with making a tuft from different lengths, so mixing 4mm with say, 10mm. I make mine on a baking tray to which I clip the crocodile lead from the applicator. When the applicator is switched on and placed near to the tray, as the grass falls through the tea-strainer, it hits the glue and tries to touch the strainer through static electricity, hence it stands up and dries in place in the glue. I’m quite pleased to far but it’s certainly a work in progress.